Creating jewelry pieces like rings and bracelets is possible using 12 gauge copper wire. It is thick enough to require tools to manipulate allowing it to retain the form or shape you create. 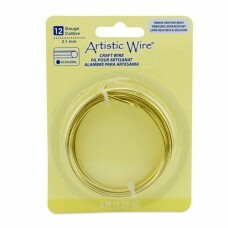 The wire comes in several finishes, and colors as well as copper. Select the length you need.